"a lonely place for dying" was first released as part one of a five-part series - through vodo under the creative commons attribution-noncommercial-nonderivative license in July 2011, and is being distributed through bittorrent. a lonely place for dying has been honored at festivals across the globe and praised by both critics and audiences alike. an official selection of 38 film festivals with 45 award nominations and winner of 19 awards including 14 for best motion picture, vodo is proud to present this cold-war spy thriller co-starring academy award nominee james cromwell (la confidential, the green mile, secretariat) and indie-favorite michael wincott (talk radio, the crow, the assassination of richard nixon). a lonely place for dying has been featured in variety, moviemaker magazine and on ifc. pbs-affiliate wpt's "director's cut" will air an episode dedicated to this film on July 8th, 2011. this interview will be available for instant download here after it airs on wpt. 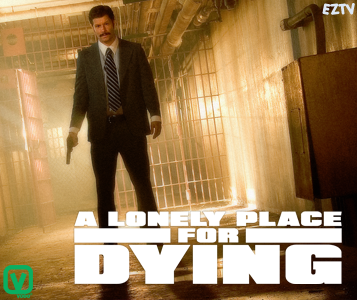 the lonely place team will be releasing a lonely place for dying theatrically in january, 2011. your donation helps us buy traditional cable, network, magazine & newspaper ads, complete a theatrical mix of the motion picture, create a dcp (digital cinema package) of the motion picture and distribute the film to independent theaters in north america via blu-ray and dcp. we'll be chronicling our journey and bundling a documentary about the theatrical release with the film's fifth and final installment so that everyone can learn from our experience. the theatrical release of a lonely place for dying will be a milestone for vodo and for original content distributed through bittorrent. we hope you'll help us. there are some great rewards, including credits in upcoming Episodes. are you an illustrator, graphic designer, translator/subtitler, graffiti artist, sculptor, comic illustrator or grass roots marketing guru? whatever your skills May include, from furniture making to sculpture, you can help. if you enjoyed watching a lonely place for dying and are interested in contributing to the film's success, please contact us immediately. we need your help! and, we're willing to be as wildly creative as you are! are you a ponoko artist? do you have woodworking skills? are you a dj? would you be interested in catering one of our theatrical openings? would you enjoy helping us author an ios app for apple's app store? can you print on wood or sheet metal? can you help create a graffiti research lab style laser logo? there are so many ways you can help us promote this film around the globe! justin eugene evans began his first theatre company at 14 and began making films at 15. he is the only undergraduate in nyu's history to complete a feature film while in school. justin is the founder, former ceo & creative director of mystic arts in beijing as well as the owner and producer of humble magi, llc. he has been a film professor and art director in the video game industry. justin is a skilled graphic designer, photographer, production designer, screenwriter, cinematographer, director & producer. as a music producer, brent daniels (also professionally known as "free") is an accomplished multi-instrumentalist, recording engineer, sound designer and singer. he began classical piano studies at age 10. a love affair with electronic music production and the recording arts soon blossomed and led to his first professional performances of his own work at age 14. as the the last signing to the venerable chicago-based wax trax!, brent recorded and released the self-produced and critically-acclaimed electronic lp searching for the end under the name hednoize with co-founder and fellow producer daniel lenz. aside from hednoize"s focus on innovative sound design and solid song craftsmanship, the cinematic sonic undertones of the release foreshadowed brent"s eventual, parallel role as a film composer and post production sound designer. as a remixer and programmer, brent has worked with marcella levy (marcella detroit, shakespeare"s sister, eric clapton), rick knowles and billy steinberg (madonna, stevie nicks), and thomas dolby (headspace/beatnik). as a recording artist, brent"s music has been used in film (mortal kombat: annihilation, charlie"s angels, scary movie 2, homegrown, gossip, the skulls, behind enemy lines, the lake house, the love guru), television ("le femme nikita," "mad men," "burn notice," "the real world," and trailers ("blade runner [re-release])," terminator: salvation," "flight of the phoenix") . a passionate advocate for general education, liberal arts and technology studies, since 1993 brent has concurrently performed in over 1000 primary/secondary schools and universities across the continental united states, entertaining and teaching well over 750,000 students and faculty about electronic music production and the importance of education.